Just as the promotion has worked before when Target brought back this recurring deal, it applies not only to video games but also to board games, movies, and books, so buyers can mix and match to get something for free. There’s some crossover potential seen here in the Buy 2 Get 1 Free deal with games like the Fortnite version of Monopoly included in the deal, but it’s the video games section where people will find games they’ve missed and ones that haven’t even come out yet. 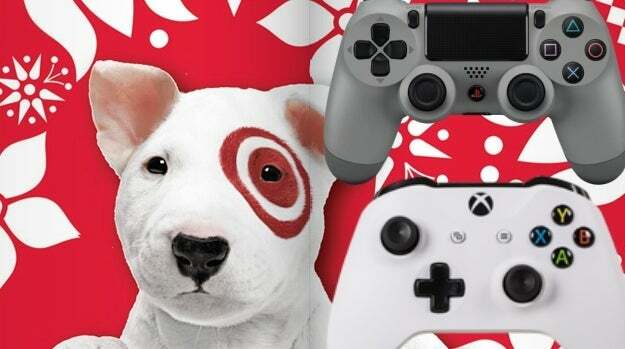 Some of the biggest games included in the lineup are ones players might’ve missed out on during the busy holiday season. Call of Duty: Black Ops 4 and Red Dead Redemption 2 are both on the list of eligible games including in the deal, both of which released around the same time in 2018. Even some of 2019’s biggest games so far are also included in the list of titles such as Resident Evil 2 and Kingdom Hearts III, both of which could easily be considered the biggest games to come out in January and start 2019 off on the right foot. Though the holidays and the start of the year might’ve been busy, February doesn’t show many signs of slowing down, so it’d be wise to use this deal to pick up some upcoming games if you’re already planning on buying one of the many titles coming out this month. Anthem, Metro Exodus, Jump Force, Far Cry New Dawn, and other unreleased games are all part of the deal, some of them having multiple editions including the base and special versions which are all included in the promotion. Even some games beyond February like Devil May Cry 5 and Sekiro: Shadows Die Twice are available to be pre-ordered in the promotion. Not every game shows up in this deal though. If there’s every a selection of games or a platform that wouldn’t be included in this deal, it’d be those from the Nintendo Switch, and the same is true this time. It’s true that some Switch games are included, but those waiting to buy Super Smash Bros. Ultimate when it goes on sale will have no such luck here. Target’s promotion to buy two games and get one free is now live and is scheduled to end on February 16th, according to Target’s promotion details page.